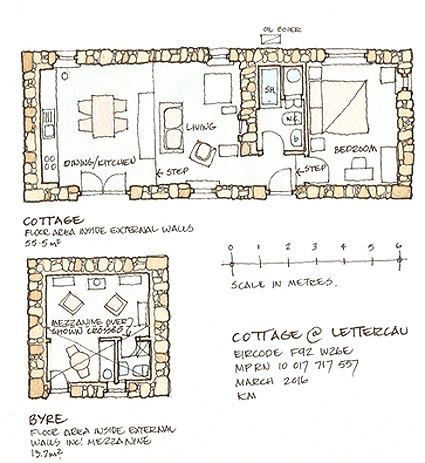 An architectural designed Cottage with maximum use of space and natural light. 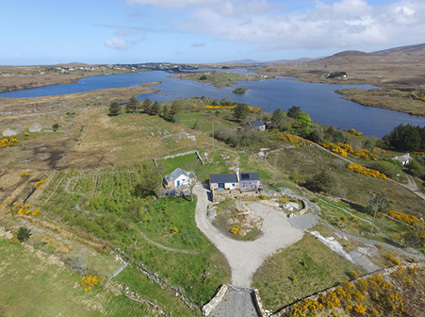 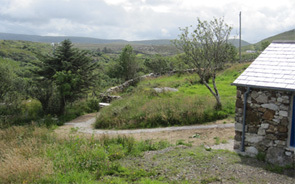 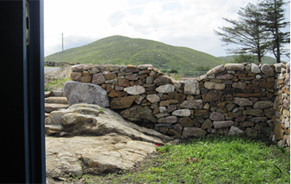 The property has been painstakingly renovated and is located near small lakes outside Dungloe, Co. Donegal. 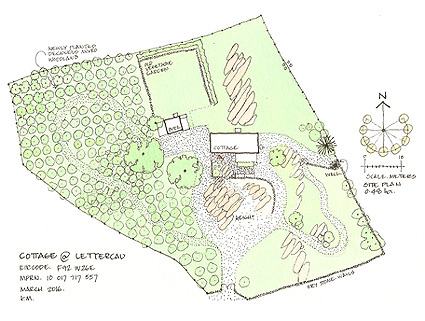 The 1.18 acre plot with slight elevation offers magnificent views of the rolling countryside. 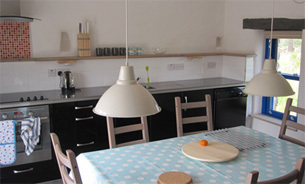 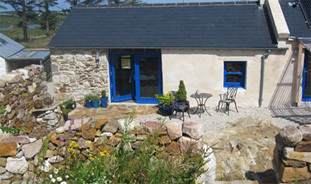 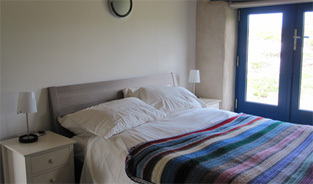 Ideal as holiday home and to recharge your batteries. 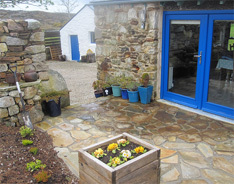 Very bright throughout with opening patio doors. 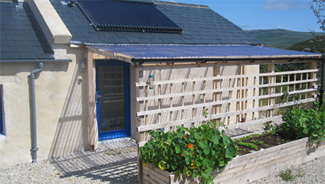 Veranda with timber decking and patio as external features with natural sandstone walls for shelter. 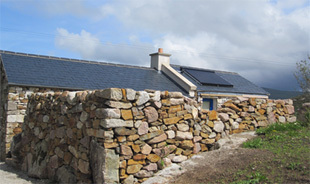 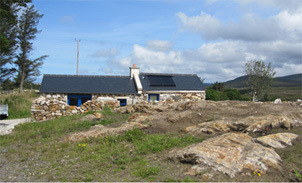 Solar Panels, open fireplace and central oil heating. 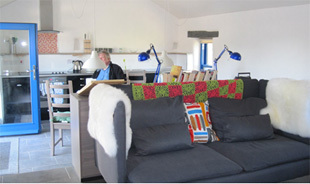 Converted Byre into small guest annex with mezzanine. 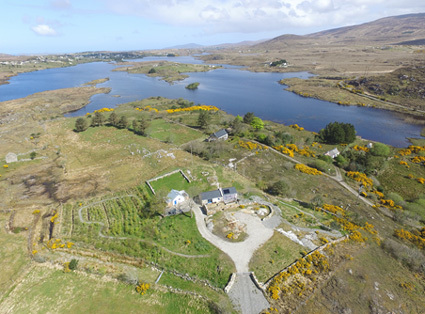 1.18 acres with well-defined stone walls, garden paths and small newly planted mixed wood, walled vegetable garden. 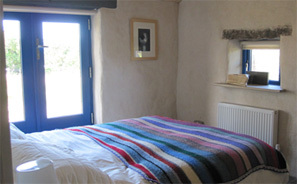 Viewing by appointment with sole selling agents.